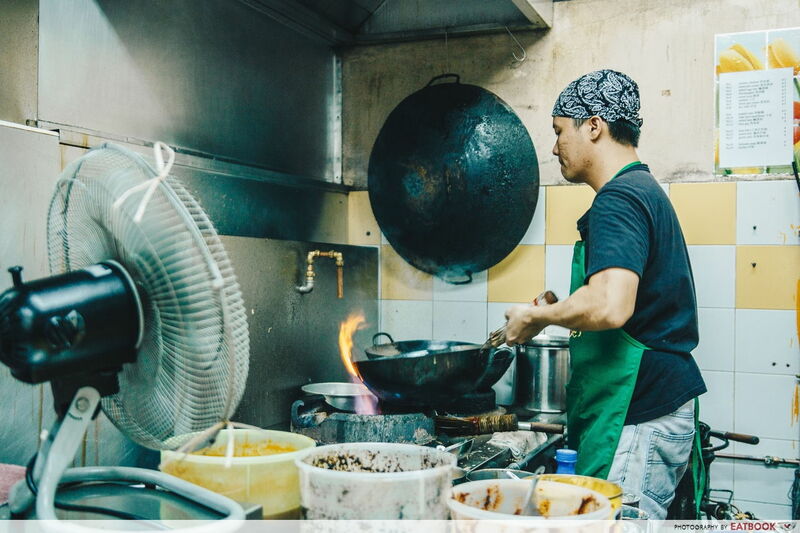 Finding a halal zi char stall in Singapore is like finding a needle in a haystack. Finding a good halal zi char stall is even more difficult. However, Ridhuan’s Muslim Delight has been making rounds on Instagram for its delicious zi char dishes that are filled with wok hei. For those who don’t know, Ridhuan’s Muslim Delight went viral because of a Facebook post back in May. 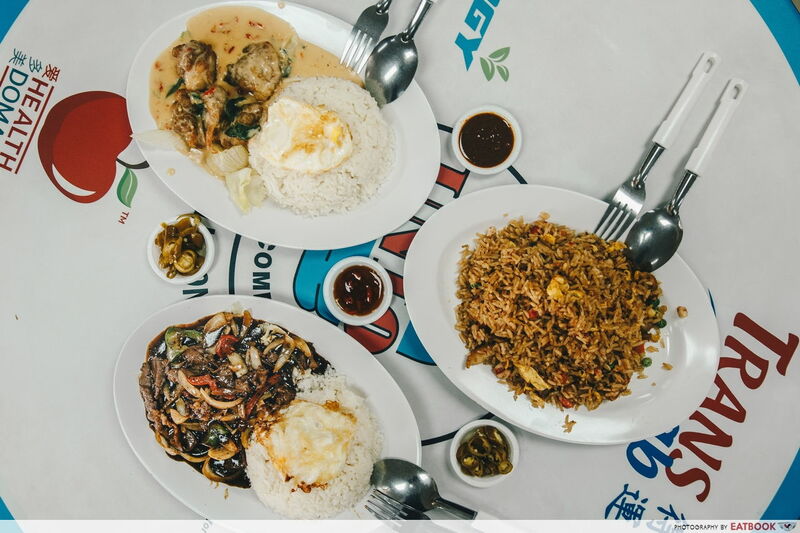 It is a Muslim-owned zi char canteen stall hidden in the industrial sites of Joo Koon, run by a Chinese Muslim. We spoke to the owner to find out more about his story. 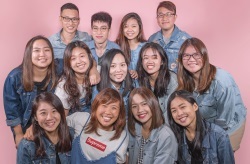 Mr Ridhuan Kho, 32, or formerly known as Mr Alex Kho Kiat Eng, started his career as a cook in Malaysia since he was 18 years-old. 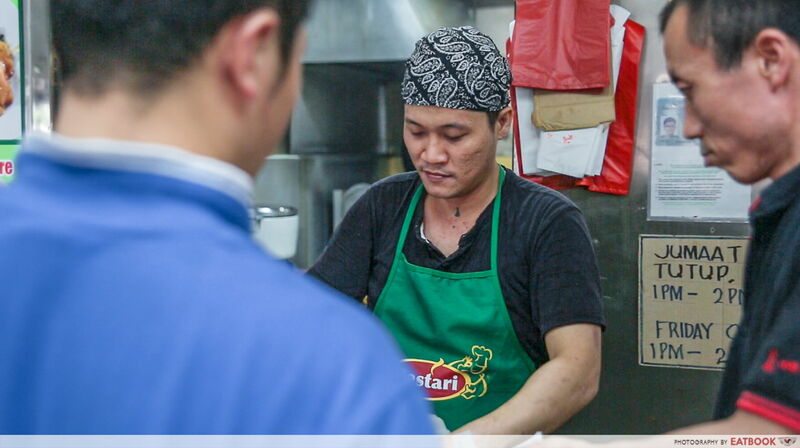 He came to Singapore 10 years ago to hone his skills as a zi char chef. 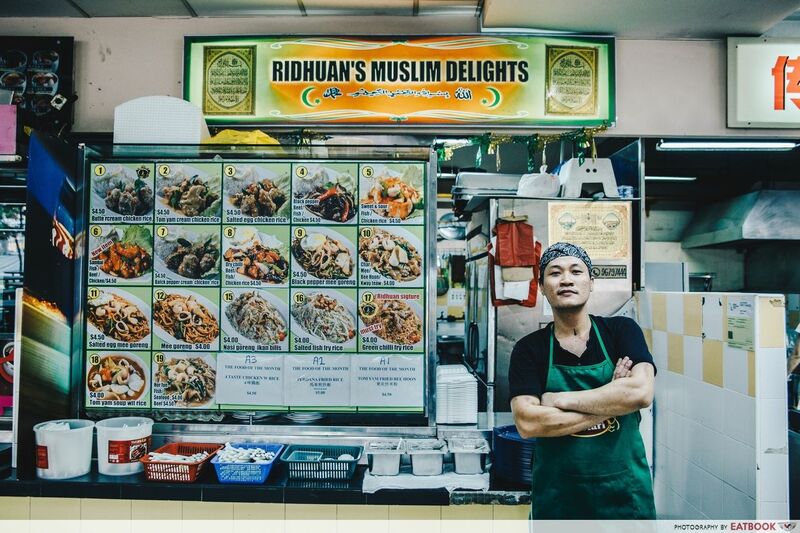 Before he started Ridhuan’s Muslim Delights, Mr Ridhuan was working at a zi char stall in Tuas. “Someone took over the restaurant and carried out unethical practices. I didn’t want to bear his consequences, that’s why I left. So I opened up my own stall so that my customers can taste halal zi char.” he said. His Muslim name was then given by his father-in-law. 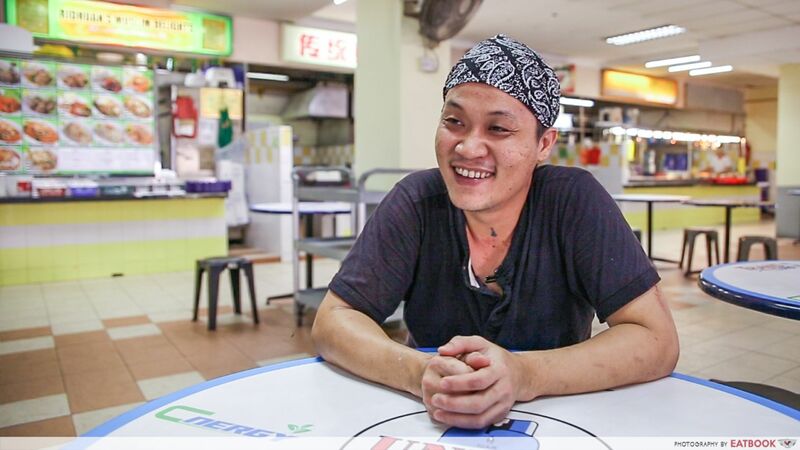 He wakes up as early as 4:30am to pray, and heads off to work every day from Sengkang. Once he reaches the stall at about 7:30am, he starts prepping ingredients with the help of an assistant before business starts at 11am. We went during non-peak hours, so he allowed us to watch him perform his magic. Mr Ridhuan had a different persona when he cooked. Before he started cooking, he put on three things – a bandana, an apron, and his game face. After washing the wok under running water, he then heated it up with a roaring blaze from the industrial stove. 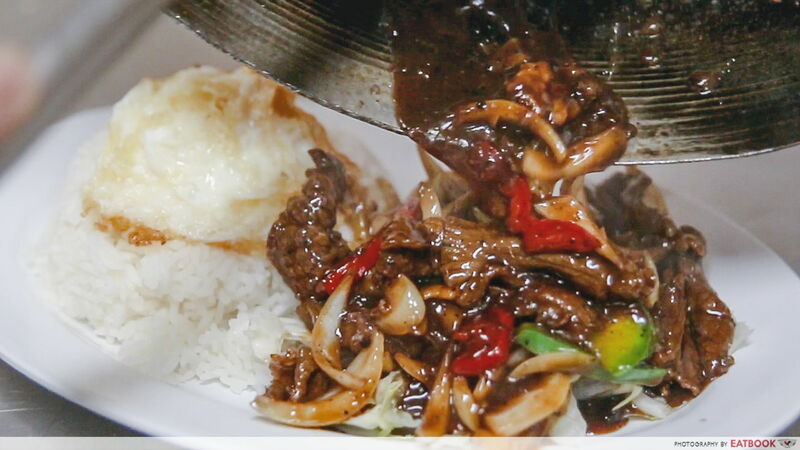 Pouring oil into the wok, Mr Ridhuan began cooking our Black Pepper Beef Rice. With his prepped ingredients arranged closely by his side, he didn’t have to maneuver much as everything he needed was within reach. Our eyes could barely keep up with his quick and polished actions. 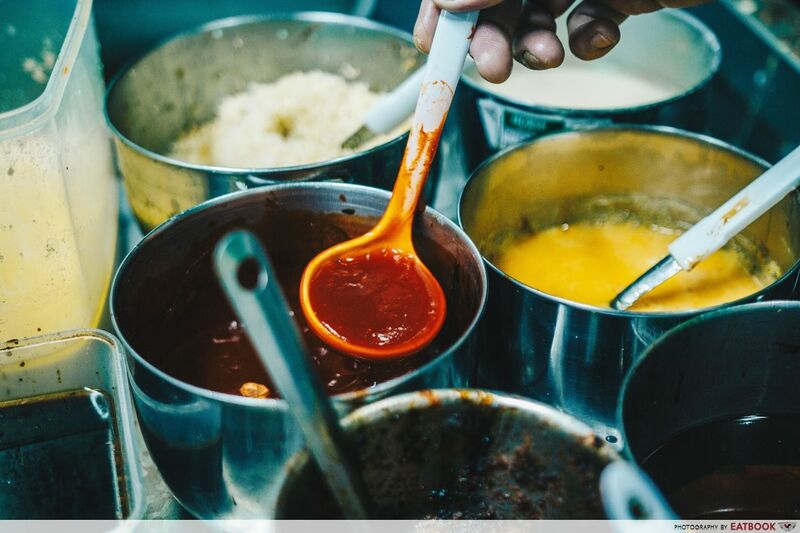 From handling the fierce blaze, to the constant pushing-and-pulling of the wok, as well as stirring, and knocking, he was in control the whole time. I thought he was just putting in the ingredients by estimation but I was wrong. He knew just the right amount to put in without having to taste the food. Soon enough, the kitchen was filled with an aromatic wok hei smell. I drooled as I watched Mr Ridhuan pour the remaining zhup onto the meat. Watching the meat glisten in thick gravy, I was so tempted to kope one piece on the spot. It took Mr Ridhuan four months to break even since the opening of his stall. When asked about his aspirations for the stall, he said, “At first I did have plans. 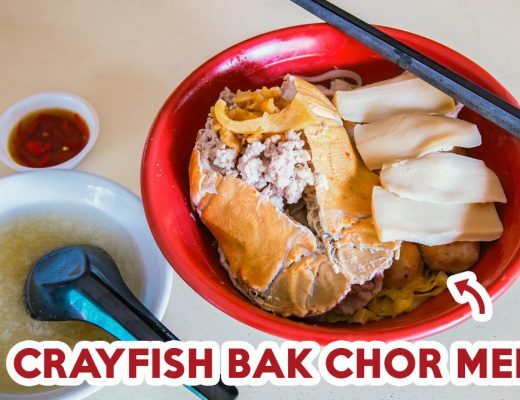 I have always wanted to open a full seafood zi char restaurant but looking at the sales, I’ll have to put that dream on hold.” As dinner time was approaching, a queue started to form and Mr Ridhuan had to attend to his customers. Not wanting to be a hindrance, we carried our plates and settled down at a nearby table. We got Mr Ridhuan’s signature dish, which is Green Chilli Fried Rice ($4). First thing we noticed was that the dish came in a generous portion. For its price, I would say it is value-for-money. 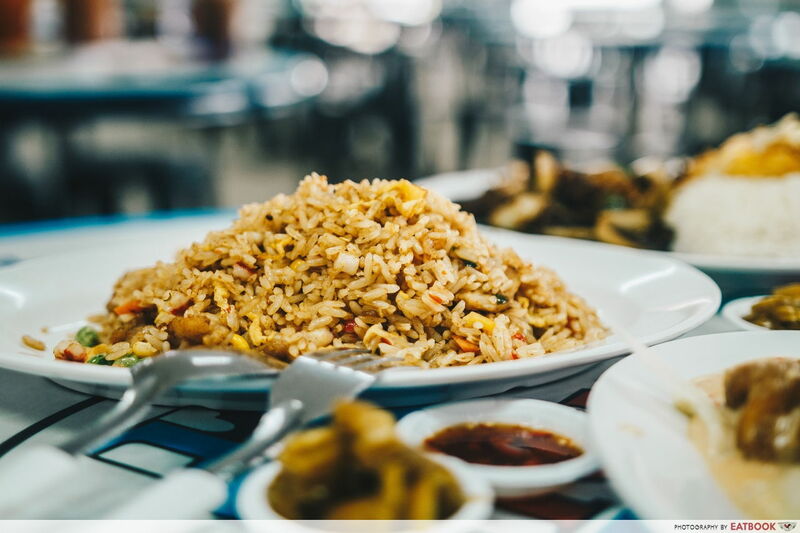 We were surprised to find many chunks of chicken buried underneath the hill of rice. The fried rice was a bit spicy and it had a slightly charred flavour which we really enjoyed. 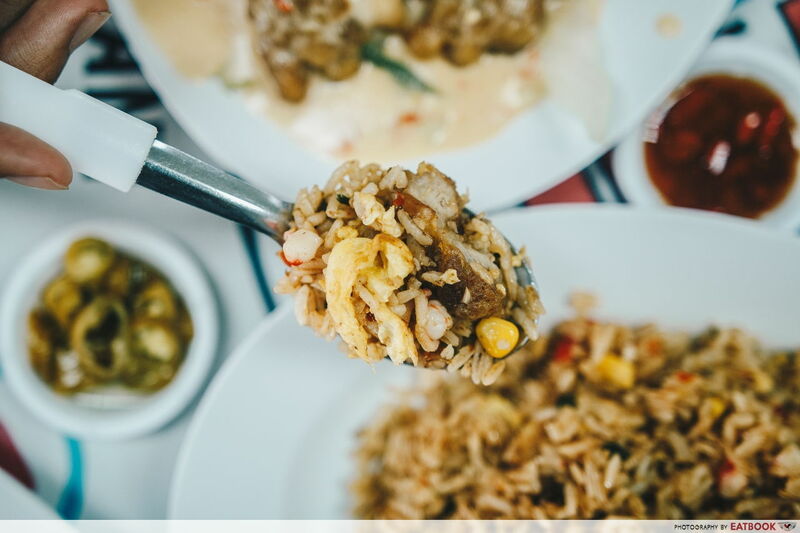 Fried rice is incomplete without sambal belachan so I added a spoonful of it and #boomz, it was one of my best decisions ever made. The sambal belachan complemented the fried rice really well and amplified the flavour. 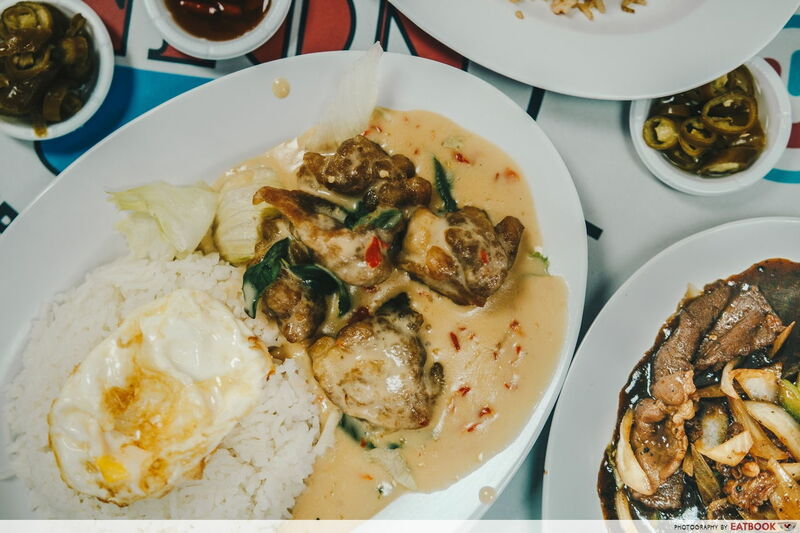 We also got one of Mr Ridhuan’s best-sellers, Butter Cream Chicken Rice ($4.50), which comes with a piece of fried egg. We ate a spoonful of the cream and our taste buds were struck by the spiciness of the chilli padi. Despite that, it was really creamy and had a thick consistency. The curry leaves were very fragrant, adding more flavour and depth to the dish. 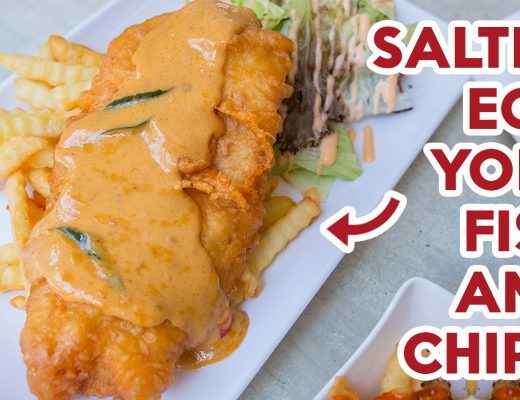 We liked that he was generous with the chicken but the chilli padi overpowered the butter cream – a little less would have done more good. 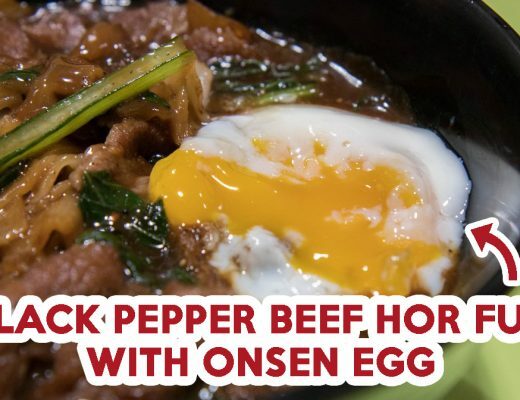 We had high expectations for Mr Ridhuan’s Black Pepper Beef Rice ($4.50) as he is very proud of this dish. 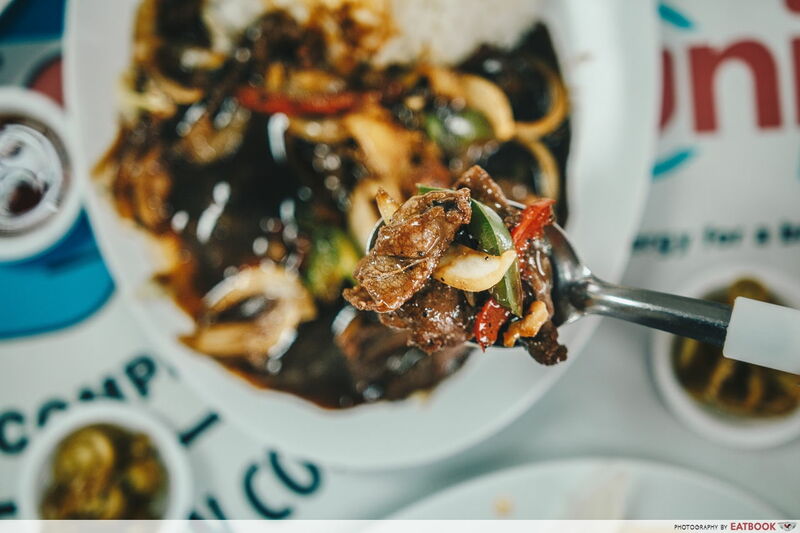 We were given a generous portion of beef slices doused in black pepper sauce, which made the dish very enticing. The wok hei was strong in this. The beef slices were also tender and absorbed the black pepper sauce very well, making each piece very flavourful. The sauce itself was addictive – sweet and peppery but not too sharp. The green and red capsicums were crunchy, adding more texture to the dish as a whole. We enjoyed it so much that we ate the beef slices on its own without the rice. 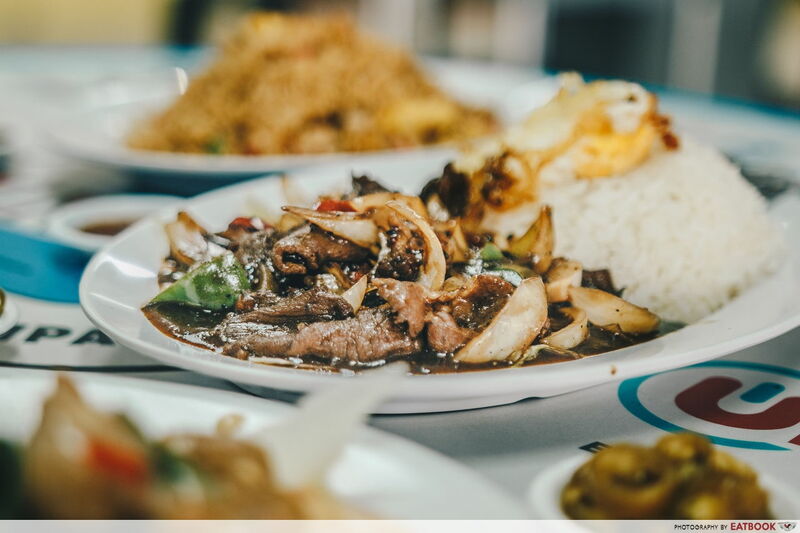 After tasting the dishes for ourselves, we could see why Mr Ridhuan has many loyal and returning customers despite the fact that the stall is located in an industrial site. Plus, it is indeed rare to find a good halal-certified zi char stall. As an East-sider, I don’t see myself travelling all the way to the end of Singapore just for zi char. But I highly recommend this stall if you happen to stay in the West and are really craving for some good zi char. If you plan to visit on Fridays, do note that Mr Ridhuan will be away for Friday prayers from 1pm to 2pm. Also, you can check out over here for more halal zi char places or cheap halal food places with large portions! !